It rests in four states, straddles two Environmental Protection Agency (EPA) regions and impacts the lives of hundreds of thousands of people. It is the Grand River Watershed; a collection of rivers, streams, creeks and water runoff that stretches across a roughly 10,300 square-mile area and eventually flows into the Grand River in Oklahoma’s northeast corner. Most of the watershed lies in the state of Kansas, with the water eventually making its way to Oklahoma by way of the Neosho River. In Missouri, another large portion of the watershed drains into our state mostly through the Spring River. Along the watershed … An aerial view of the confluence of the Neosho and Spring Rivers, along the Grand River Watershed, in Oklahoma. The watershed reaches across four states, funneling the waters that create Grand Lake, Lake Hudson and Fort Gibson Lake. The confluence of these rivers – near the heart of Ottawa County – is the beginning of the Grand River. Impounded by three separate dams, this river then gives us Grand Lake (Pensacola Dam), Lake Hudson (Robert S. Kerr Dam) and the Fort Gibson Lake (Fort Gibson Dam). Together, these lakes provide not only the “fuel” for hydroelectric generation and a valuable water supply across a large region, but also serve as a foundation for economic development tied to multiple industries, including manufacturing, tourism, recreation and more. These are key reasons the Grand River Dam Authority continues to place a high priority on water quality issues and the stewardship of the Grand River system. 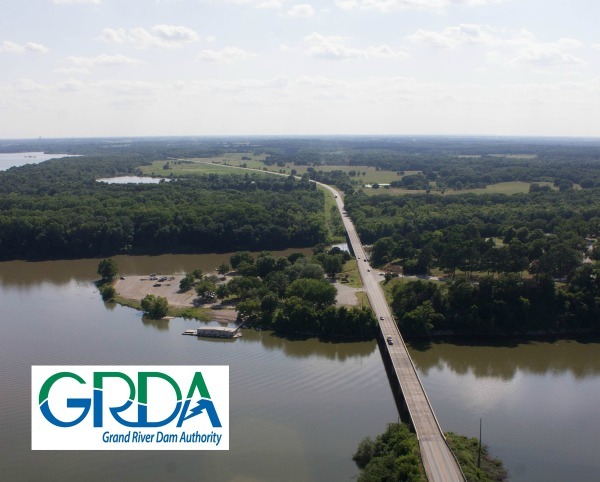 In fact, in December, GRDA entered a five year interagency agreement with the University of Oklahoma that is designed to bring a comprehensive approach to watershed conservation and lake management, as well as GRDA’s effort to relicense its hydroelectric facilities with the Federal Energy Regulatory Commission (FERC). Last month, on the heels of that agreement, GRDA also entered an agreement with the Grand Lake Watershed Alliance Foundation (GLWAF) for the development of a watershed educational campaign that will raise awareness of the watershed and share the important ways the public can help care for this valuable natural resource. These projects are just getting underway, and there will be more to share in the future.